How will you study? Full-time or part-time? 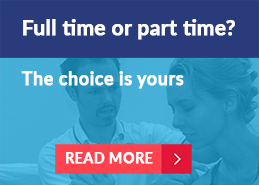 At the London School of Osteopathy we offer students the flexibility of choosing to complete their Osteopathy degree on a full-time or a part-time basis. 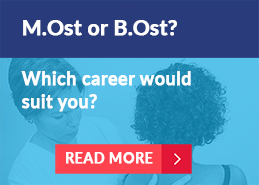 A full-time course is completed in 3 ½ years or 4 years, depending on whether you qualify with an MOst or a BOst. A part-time degree is completed in 5 or 6 years. What qualifications will you receive? 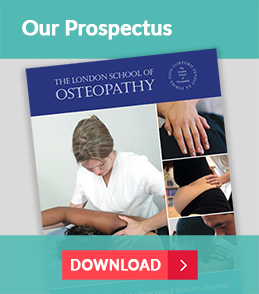 The London School of Osteopathy offers students the choice of qualifying with an integrated undergraduate Masters of Osteopathy (MOst) or Bachelors of Osteopathy (Hons). All students are initially enrolled on the MOst course. Both osteopathy qualifications enable you to become a fully-fledged independent practitioner of osteopathy, accredited by the General Osteopathic Council. Your osteopathy studies will take place both in our college teaching rooms and in our clinic. Our teaching rooms are fully equipped with osteopathic plinths. You will be taught in small tutor groups with a max of 30 students per class. After practising the hands-on elements in the classroom on each other, students have the opportunity to practise with real patients as they become more proficient. Our busy Community Clinic in East London provides subsidised osteopathy treatment. It caters to people of all ages and walks of life, and is highly valued by local residents.